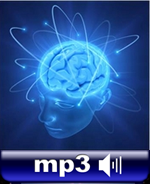 Popular, Effective Brainwave Entrainment MP3's For Deep Meditation, Healing, Health, Astral Projection, Metaphysical Abilities And More. Expertly developed with state of the art brainwave entrainment technologies such as Isochronic Tones, Monaural, Binaural Beats, Frequency Shifting, 3D Positioning and more together with many years of experience. These MP3 tracks have already helped countless satisfied people over the years. Whatever your objectives, we have effective MP3's for you. Deep Meditation, Metaphysical Abilities. Originally developed several years ago after considerable research, utilising the most advanced technologies, Abyss is a very powerful and popular Brainwave Entrainment track used by countless thousands of people and has gained almost legendary status. Abyss can be used for any objective requiring very deep levels of meditation, trance states and for many diverse Spiritual and Metaphysical purposes including Healing and Astral Projection. If you are seeking a powerful, flexible, proven brainwave entrainment track, Abyss is an excellent and highly respected choice. Very Deep Meditation. Zen Meditation - Zazen - is the purest and potentially deepest form of meditation which can potentially take you to very deep inner levels, the realm of Blissful and Profound States of Being. Zen Meditation usually requires years if not a lifetime of dedication, and requires great discipline, focus and emptiness of Mind, devoid of all thoughts. 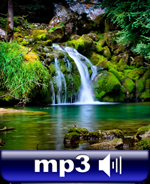 The Deep Zen Meditation MP3 will help you on the path of Zen Meditation be not only helping you to maintain a clear Mind, but by also progressively taking your brainwaves down to very deep Alpha brainwave levels where your Mind will follow towards Deep Zen. Mood and Well-Being Enhancement. Everyone feels low or depressed from time to time. In the Winter with daylight hours shorter and dimmer, a form of depression known as "Seasonal Affective Disorder" "SAD" is very common. Turning to chemical drugs is never the answer as it can be addictive and harmful. 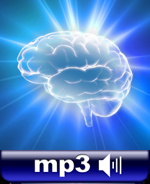 Featuring Isochronic Tones, The Digital High MP3 is a highly effective, safe and non-addictive way of raising mood and the feel good factor by stimulating the brain to produce feel good neuro-transmitters such as Endorphins, Serotonin and Dopamine. 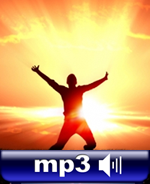 Start feeling great today with the powerful and safe Digital High MP3. Healing and Bliss. Divine Love Is the most powerful healing power in the Universe and ultimately the only healing power. There is no human condition that cannot be completely healed through the power of Divine Love. Everyone naturally has access to this Divine Healing Power, it is simply a matter of connecting with Divine Love, and feeling and knowing that Divine Love is healing you in Mind and Body. This Divine Healing MP3 vibrates at the frequency of Divine Love and helps you to focus on connecting with Divine Love to help you heal any condition and restore your body to original perfection. Chakra and Kundalini Activation. There are 7 main Chakras in the non-physical Etheric Body corresponding to major glands and organs - Brow, Throat, Heart, Solar Plexus, Sacral, and Root Chakras. The Chakras effectively act as "step down transformers", constantly taking in very high vibration Universal Energy and feeding this Divine Energy to the physical body at the corresponding vibration. It Is absolutely crucial that all the Chakras are in balance and activated for maximum health, well-being and Spirituality. 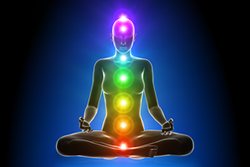 This is a full, 70 minute powerful guided meditation to activate and balance your Chakras. Deep Physical Relaxation. 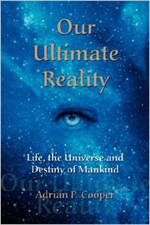 This is by far one of the most profoundly valuable abilities, opening the door to numerous physical and non-physical potential such as Deep Meditation, Healing, Metaphysical Abilities, Astral Projection and many more. While relaxation may seem simple, and many people believe they can do it, this level of Deep Physical Relaxation is an ability that must be acquired through proper technique and practice. 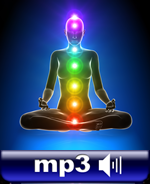 This powerful voice guided meditation MP3 will take you to the deepest Alpha brainwave levels of Deep Physical Relaxation which you will later be able to invoke yourself at will. Profound State Of Consciousness. The Awakened Mind brain was discovered by C. Maxwell Cade. He measured the brainwave patterns of many healers, spiritual teachers, advanced meditators and 300 of his own students and found a brainwave pattern he identified as a step beyond meditation. He said it "shows high amplitude alpha accompanied by two side bands of about 30 to 60 percent of the alpha amplitude, continuous and of steady frequency, one at usually 16 to 18 hertz in the beta spectrum, the other usually at 4 to 6 hertz in the theta spectrum." 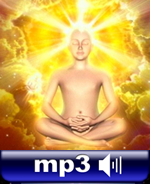 This powerful MP3 reproduces this profound state of being. Universal One-ness. AUM, Or "OM" is the most sacred mantra to both Buddhism and Hinduism, being the sound or vibration of the Universe and all creation. AUM or OM is the absolute encapsulation of the truth that All Is One. AUM or OM exerts a profound influence over consciousness, taking the person in to deeper and deeper and more and more profound levels of One-ness with the Universe of All That Is And Ultimate Truth and Reality. 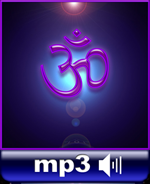 AUM is chanted in the original, correct and most powerful way in this MP3 by Buddhist Monks, with sound symbols and Alpha brainwave frequency. 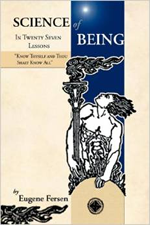 Deep Meditation, Metaphysical Abilities And Relaxation. Cosmic Voyage was developed as a follow up the the immensely successful Abyss track, utilising next generation technologies. Cosmic Voyage is a powerful Meditation track, a voyage in to the depths of your mind through the Alpha stare. Fully relaxed, focussing on the soothing Cosmic music and sounds, the Cosmic Voyage Meditation MP3 track provides a deep and profound Voyage of Mind exploration that can be used on any MP3 player or PC. Like Abyss, Cosmic Voyage is a very popular Meditation track. Shamanic Consciousness And Abilities. The Shamans and Healers of the indigenous peoples are noted for their impressive and often inexplicable Metaphysical abilities such as Astral Projection and Healing powers revered by their own people and all who witness them. They are the "go to" people for anything that needs healing or resolving. The Shamans derive their powerful abilities by entering a specific trance state, often invoked by drumming or chanting. Now you too can explore these Deep Alpha Brainwave Shamanic states with the Shamans Trance MP3 featuring Isochronic Tones and other brainwave technologies.